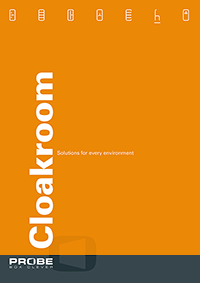 Probe offers this comprehensive range of easy install Cloakroom units with a wide choice of options and accessories, ensuring you will find exactly what you are looking for. 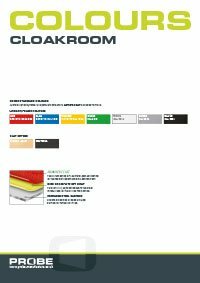 All units are available in a choice of six exciting colours to match your interior. 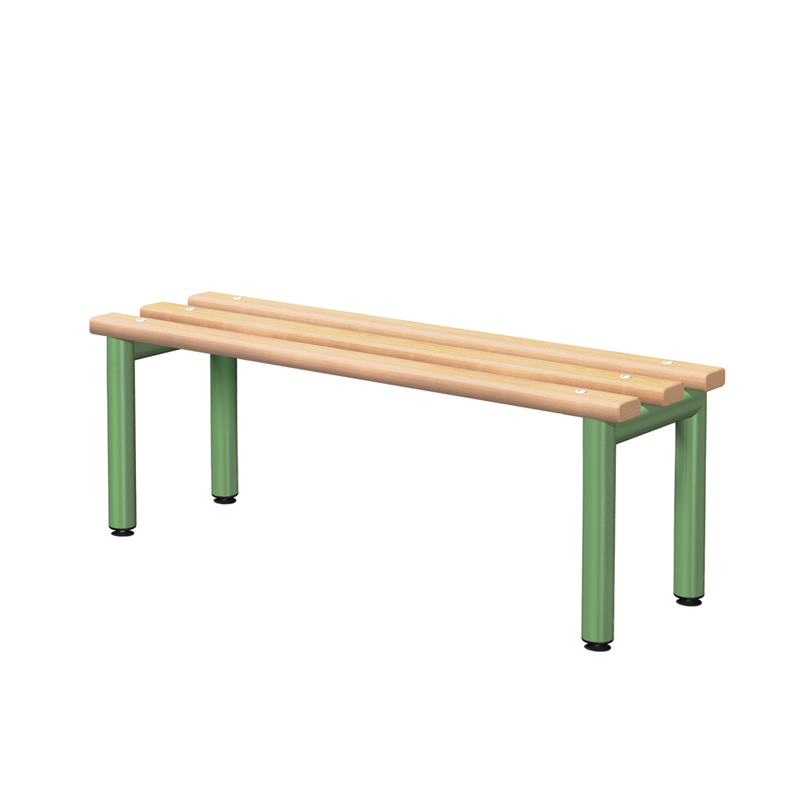 All our timber comes from suppliers with positive reforestation policies, and is supplied from sustainable forests. 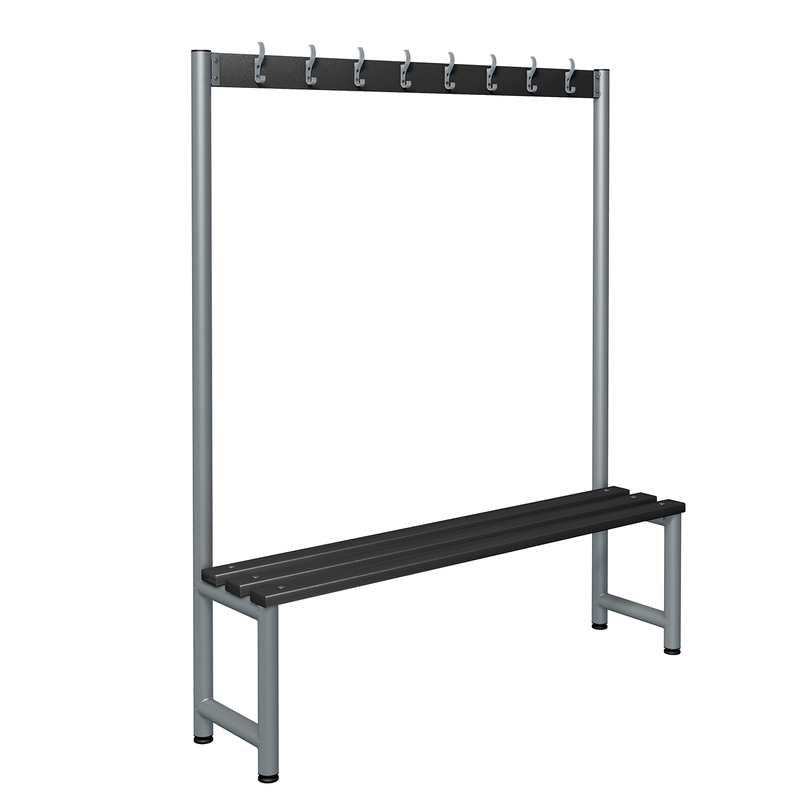 Manufactured with the same high performance anti-bacterial elements thatgo into all ACTIVECOAT powder coatings from Probe. 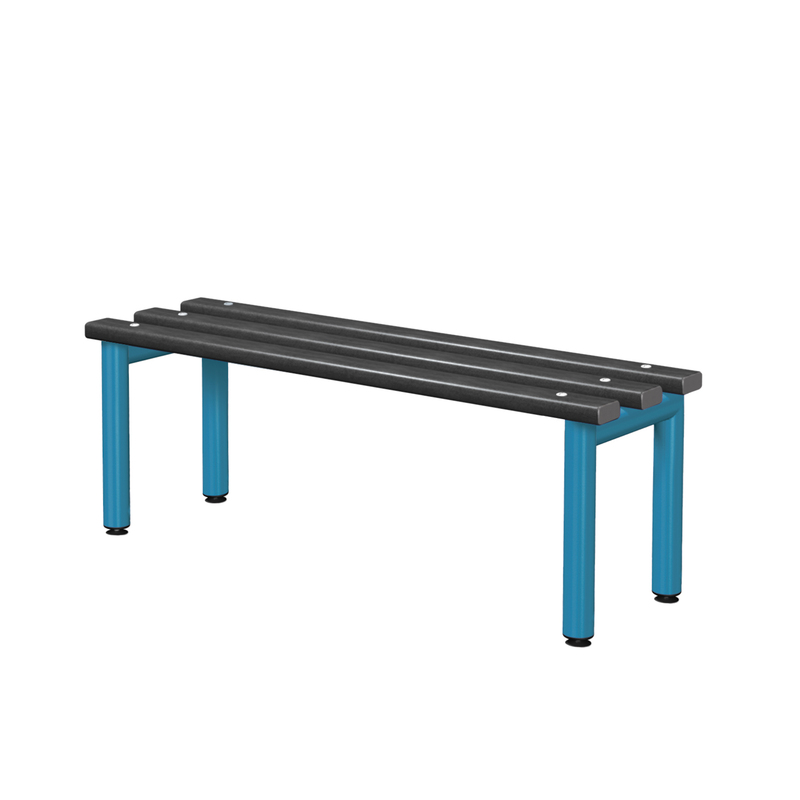 Ideal for individual underbench storage keeping floors clear of clutter. 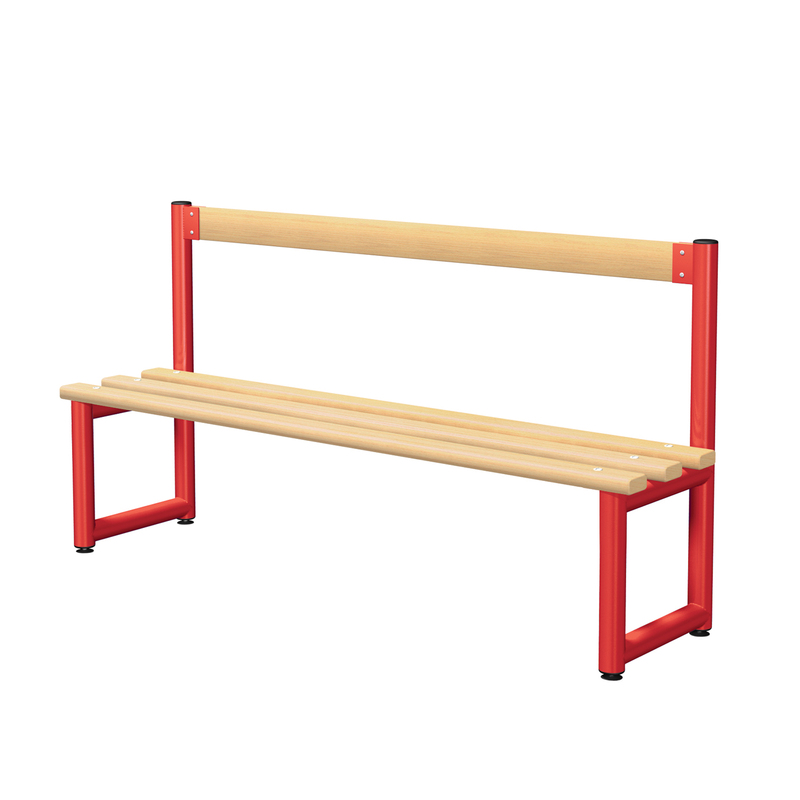 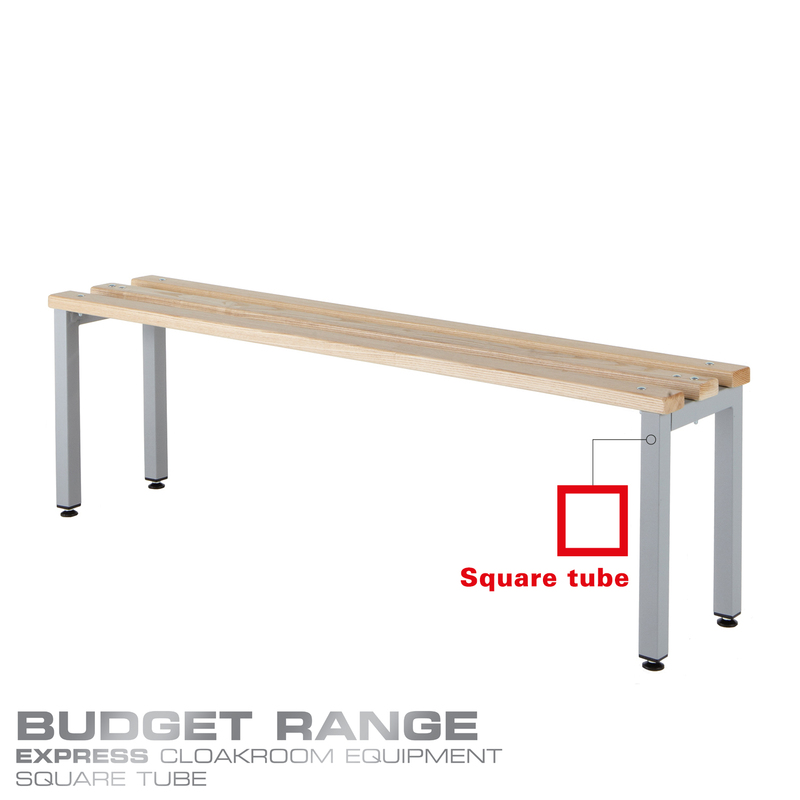 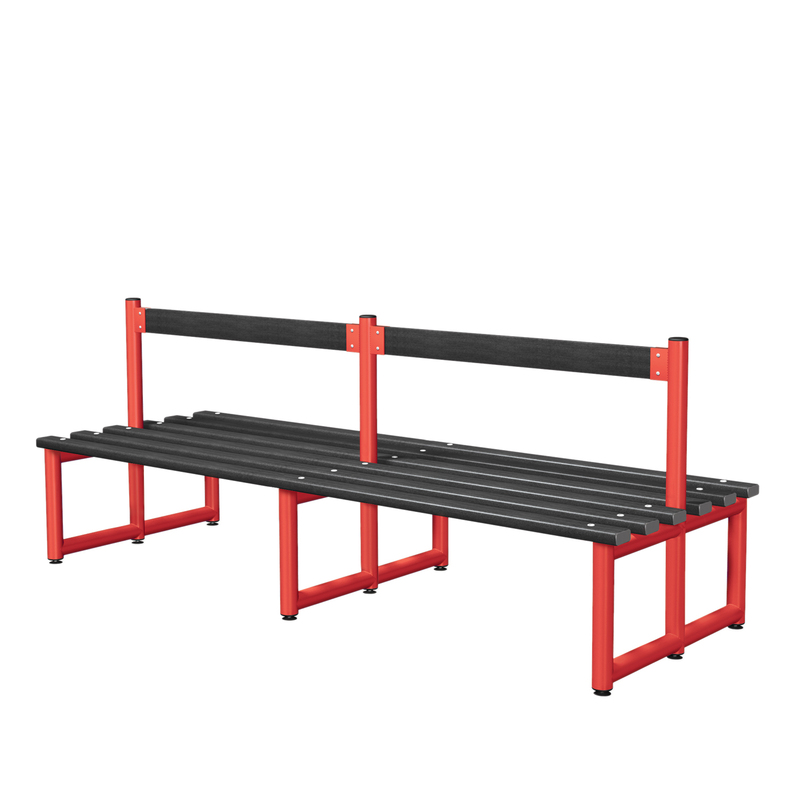 Maximise storage space with these robust underbench shelves. 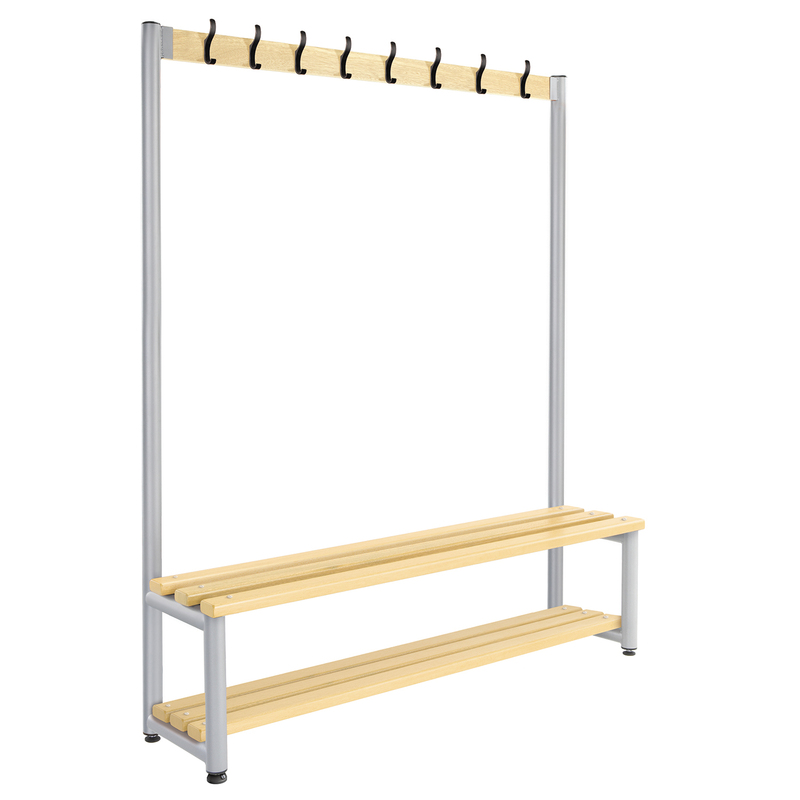 Optional floor anchors are available for all floor standing units. 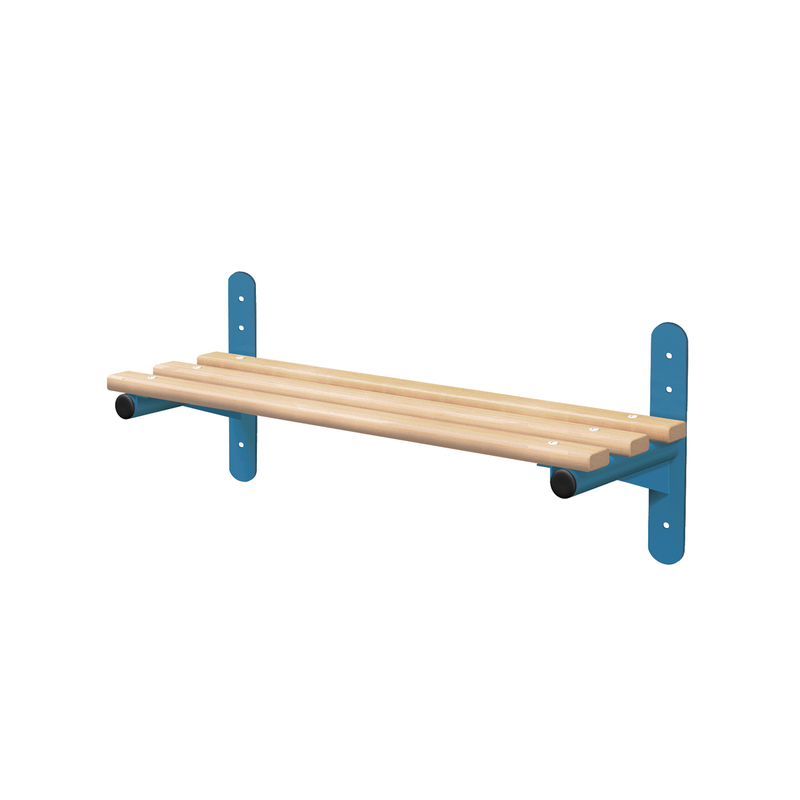 Fixings not supplied. 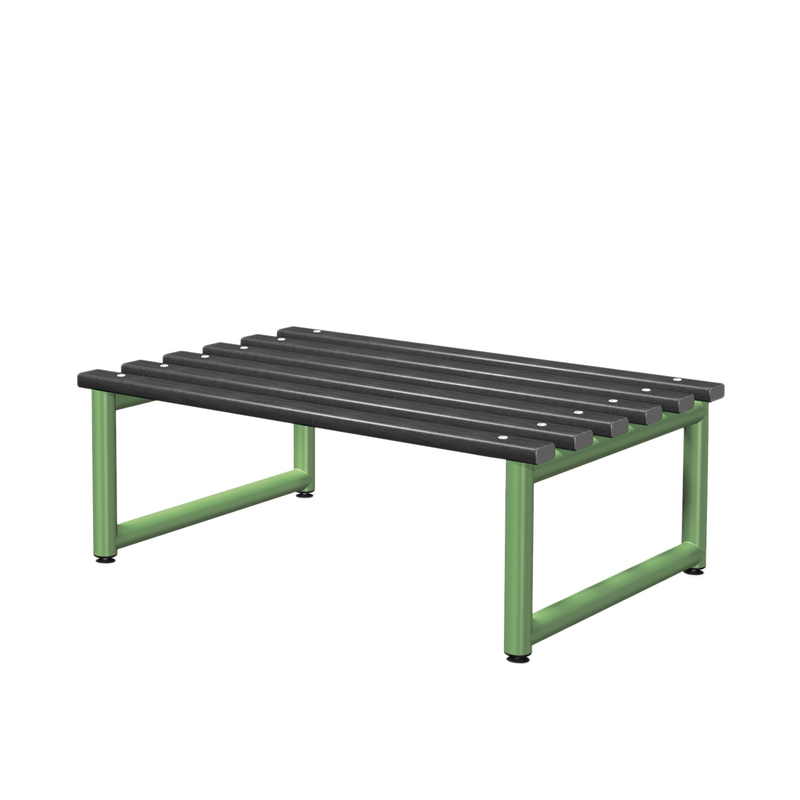 These stylish robust under bench storage baskets can be added to any size bench, and are constructed of strong perforated steel. 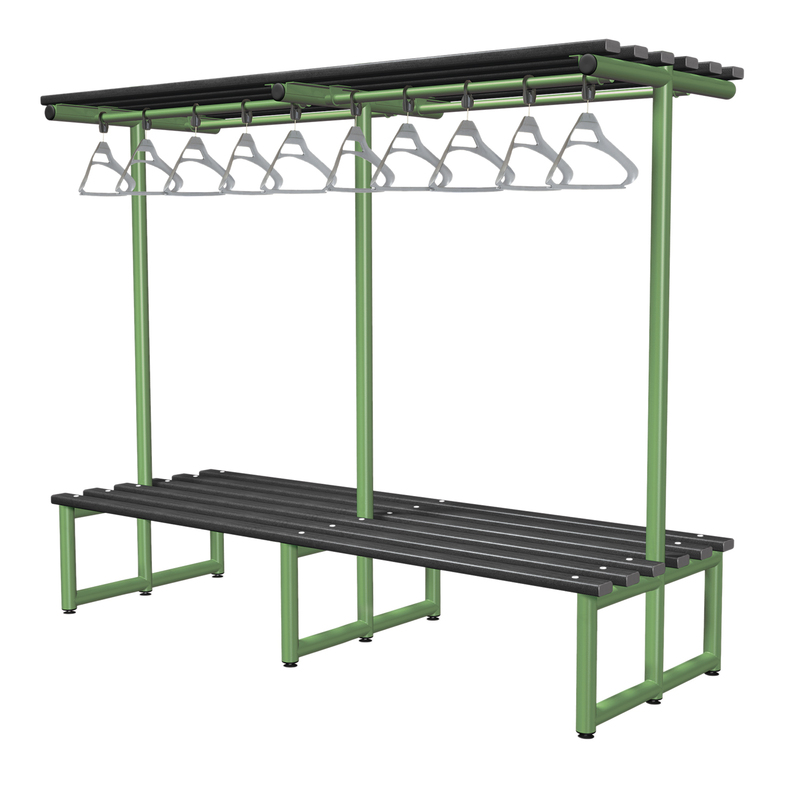 All baskets are coated with ACTIVECOAT powder coating exclusively from Probe. 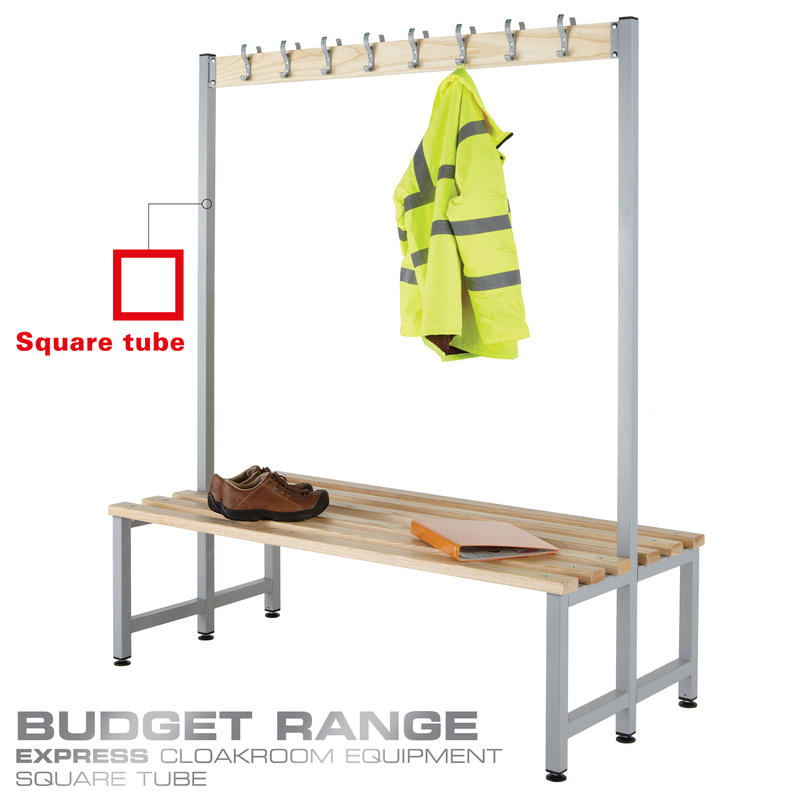 All frames are constructed from robust 50mm round, thick wall tubing with welded joints for strength and durability. 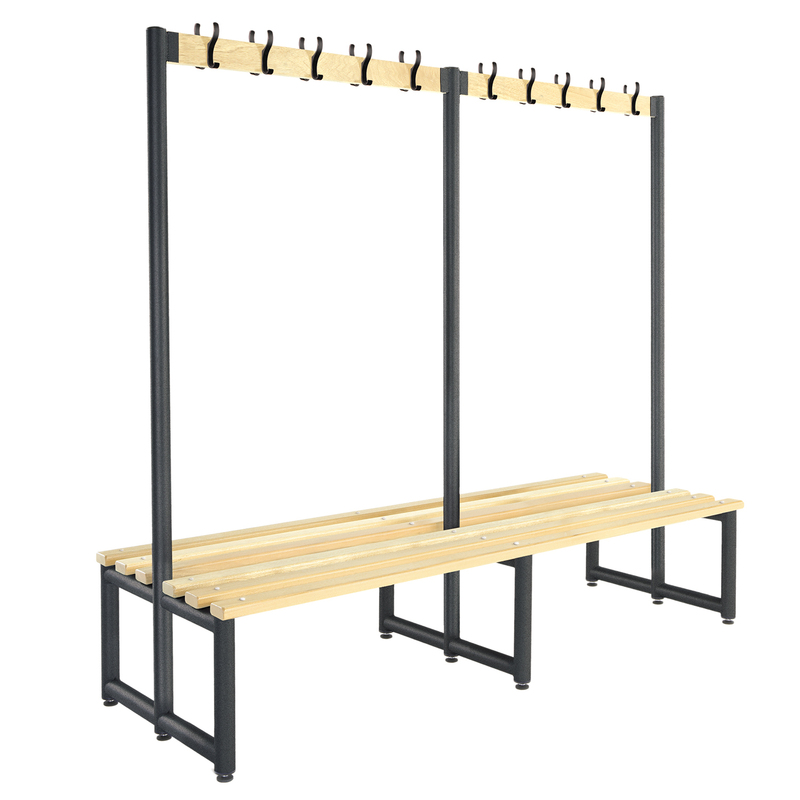 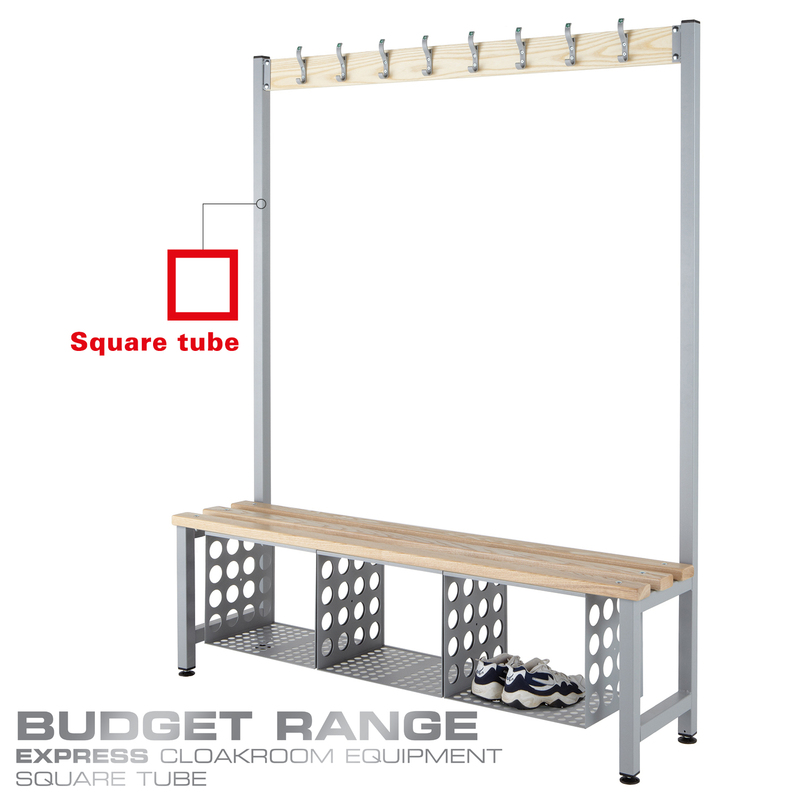 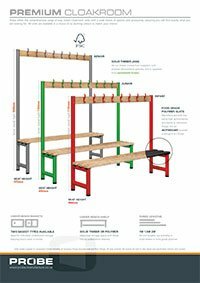 All Cloakroom equipment is available in both solid timber (Ash) or Polymer. 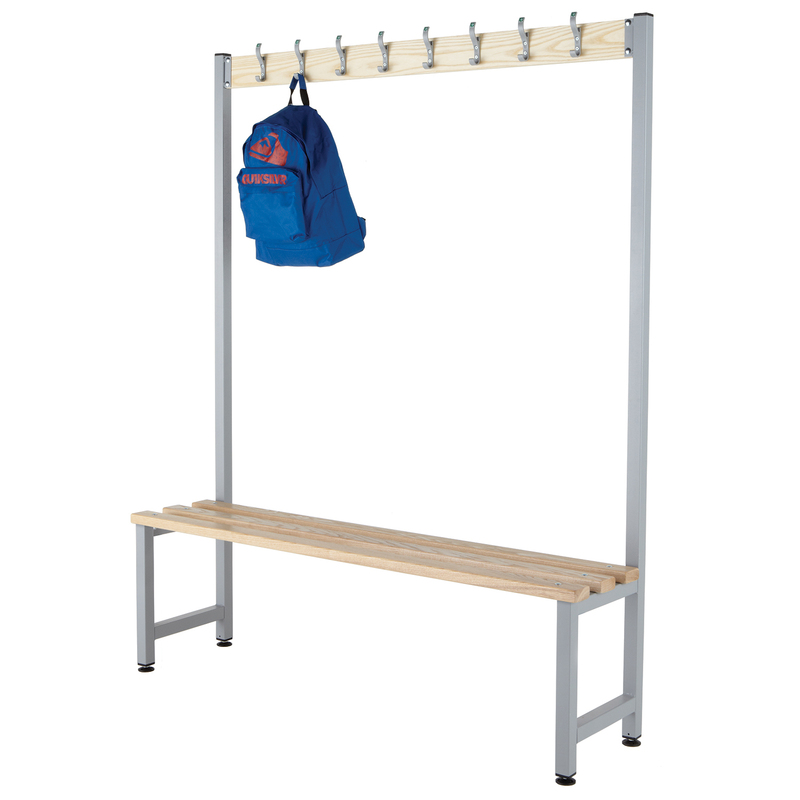 These virtually unbreakable, polymer coat hooks, have been ergonomically designed and contain ACTIVECOAT technology. 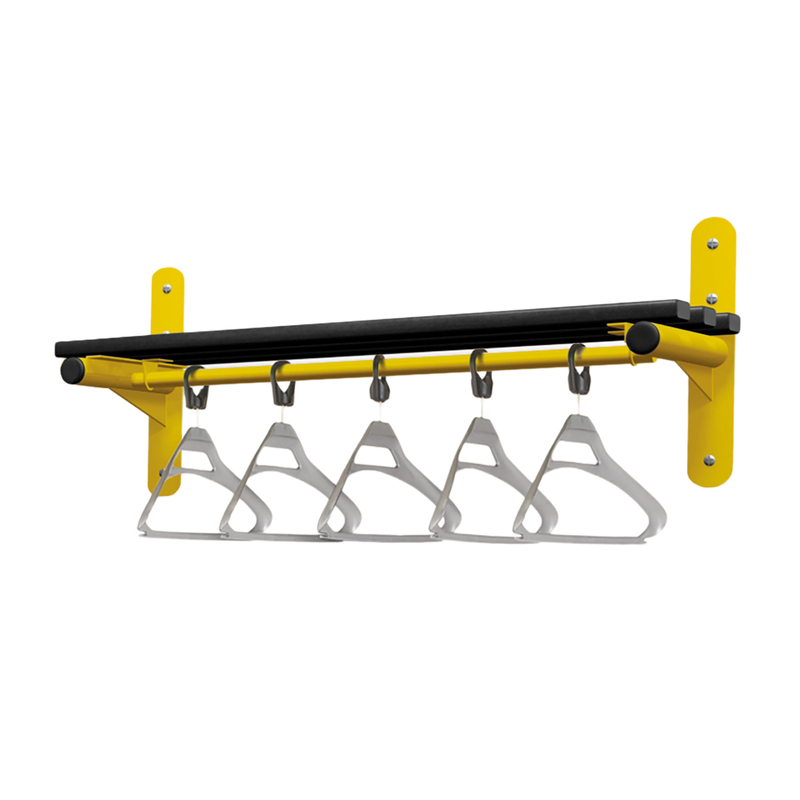 Red, yellow or blue frames will be supplied with matching coloured hooks. 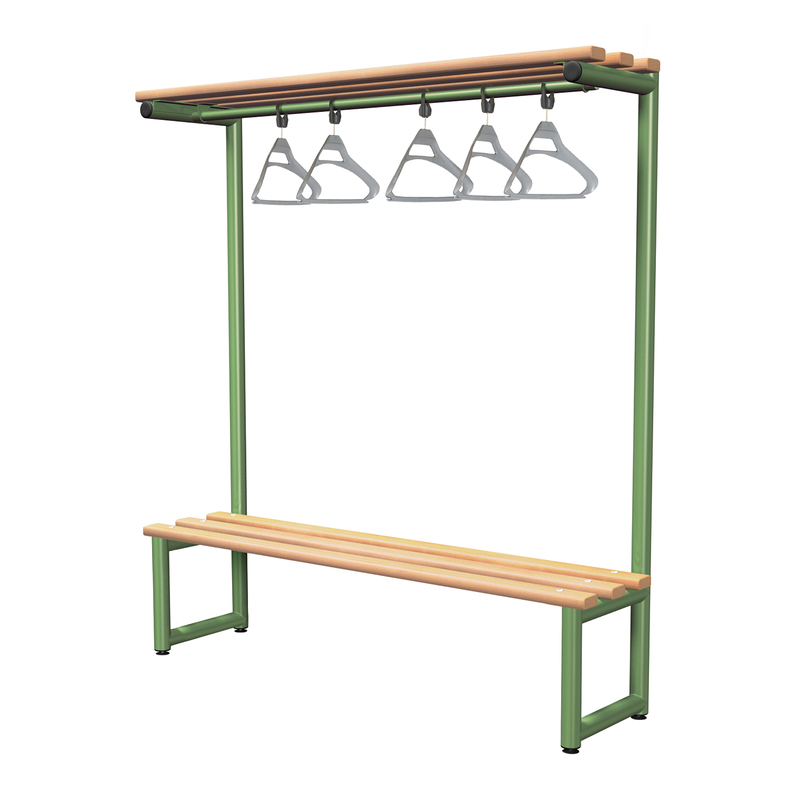 Green, smoke white and silver frames will be supplied with black hooks unless otherwise specified. 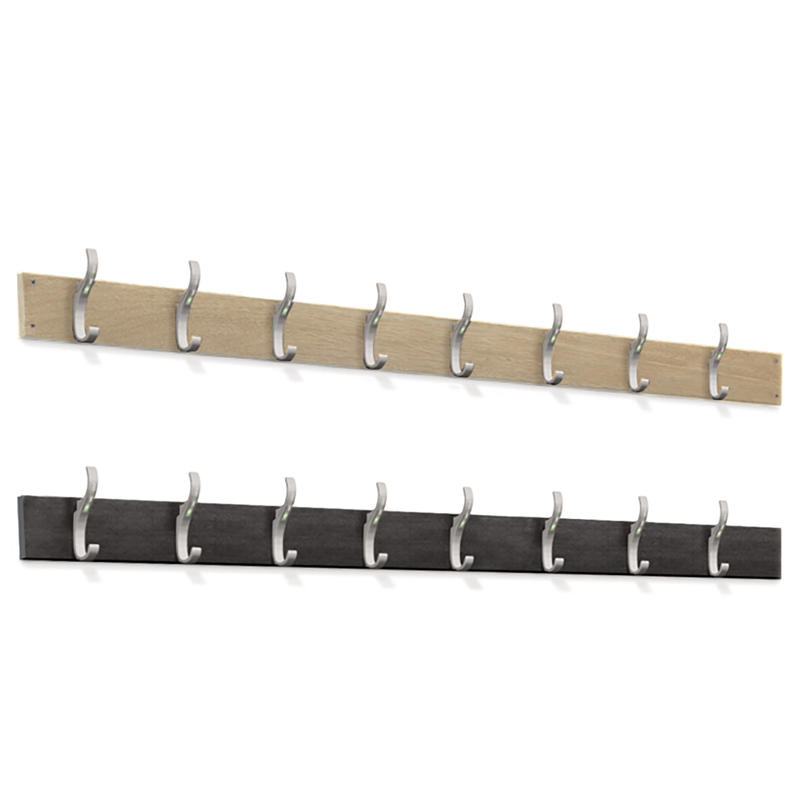 Grey hooks will be supplied unless otherwise specified. 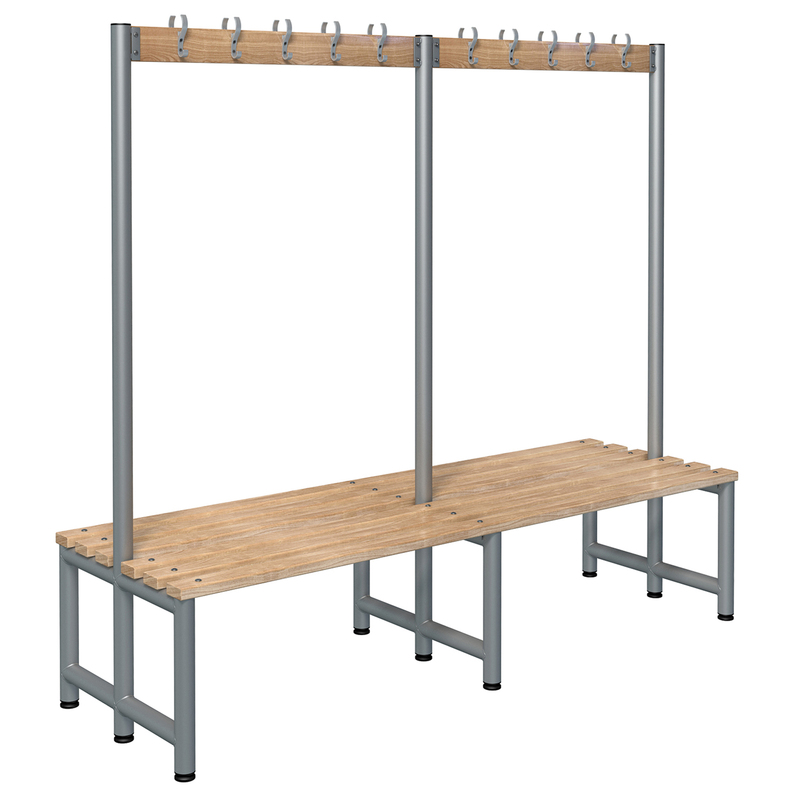 All floor standing Cloakroom units come with adjustable feet for ease of installation.